Here’s an exercise that shifts everything. Imagine there is a light source inside your chest. You can turn the dimmer switch up or down. Whenever you feel you lack something imagine that all you do is turn up the dimmer switch so that you radiate whatever it is you feel you lack. The same applies to your purpose and lesson. 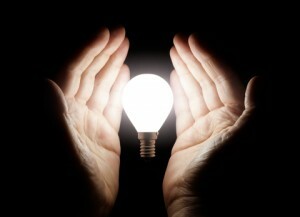 If you already know your purpose, imagine turning up the dimmer switch and simply radiating that quality. Similarly, if you know what your life lesson is, simply find its opposite pole (your exalted lesson) then imagine yourself turning up your dimmer switch even more, until you are radiating out this quality too. For example, if your life lesson is about finding self worth then the advanced state is the teacher of self worth, the mentor. Simply imagine yourself radiating this quality into the world around you. This is how you shine. As soon as you think, “But I’m not that!” You’ve turned the dimmer switch back down. Simply turn it back up again and feel the warm glow flowing through all the cells of your being. If you are not sure what your purpose or your lesson is you can get a work it out yourself from your fingerprints. Or simply go back to the beginning of this exercise. Choose any feeling of lack and then imagine radiating out an abundance of whatever it is you feel you lack. If you would like to learn how to read fingerprints and use them as a mindfulness tool, to transform your life and other people’s lives, take a course here. This is really useful and helpful article on How to shine, really great.